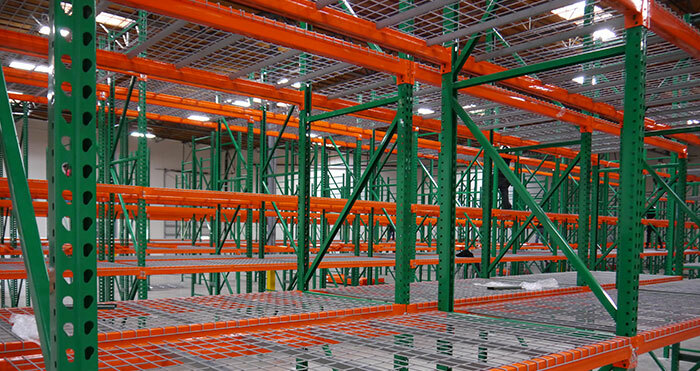 If you are looking for pallet racking systems in Long Beach, CA, look no further than Warehouse Racking Systems. Contact one of our friendly sales staff in Long Beach to review your needs. Warehouse Racking System – Long Beach makes racking from 100% US steel. Therefore, they are stronger and more durable than imports. Using heavy gauge steel ensures that they will hold more weight. The applied powder coating protects them from scratching. They are available in green and orange plus a wide variety of colors. These pallet racks have been load tested and are ready for delivery.